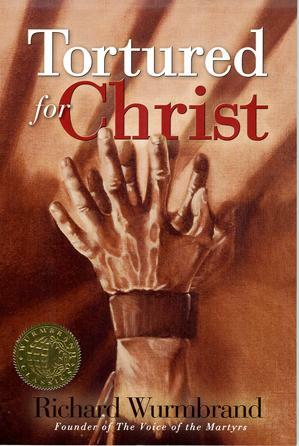 persecuted church | In the Key of "H"
I just finished reading the book Tortured for Christ by Voice of the Martyrs founder Richard Wurmbrand. You can get it for free here. Like the title suggests, this book is not a feel good book. In fact, I’m not sure I felt good one minute while reading it. However, I’m glad that I read it, and there are a few reasons why I would commend it to you. How to do it through Christ vs How I did it through Christ. I’ve read books called Crazy Love and Radical. They are designed to challenge and convict the American Dream mentality that has crept into American Christianity. I think both writers have a voice that we need to hear-though in the end both fell short in my opinion of providing the necessary gospel motivation. Sometimes the best way to inspire folks (or at least it works best for me) is not to say, “Here’s why you should do _____,” but to see someone live out “Here’s why the gospel of Jesus motivated ME or OTHERS to do _______.” That’s the book in a nutshell. This joker lived through two different multi-year prison sentences under the communists, enduring constant torture and yet still loving his enemies. Instead of someone telling me this is how to do x, I could see how Jesus did it through His people. There are great books on reconciliation, but the most powerful book I’ve read on the subject is As We Forgive, which shows how the most bitter of enemies HAVE BEEN reconciled. The same thing goes with Tortured for Christ. It’s good to read books on how the gospel can help me follow Jesus as well as how the gospel tangibly empowers folks to follow Jesus despite awful tortures. Both have a place on our book shelves. But I have to admit that being more pragmatic myself I really like to see examples. These books help me apply my theology (Head), and be motivated (Heart) to my actual life (Hands). Jesus can really empower people to persevere through such torture. He does it all the time. I felt something while reading this book. I don’t even know how to describe it. Perhaps a mix of fear, anger, heaviness, sadness, conviction for my complacency….But part of me had to ask the honest question, what would I do if threatened with torture, and the reality of leaving behind a wife and kids that often wouldn’t be taken care of (it was illegal to help them)? I’ve had kidney stones and I can imagine doing anything that would stop such pain. How would I hold up? How would you? None of us can with pride say what we would do in such a situation. But we can say with hope that God will never leave us nor forsake us, nor will he allow us to be tempted beyond what we can bear (I Cor 10:13). He will give us the power on that day to do what we need to do to follow Him regardless of how much of a wuss we are. We can say, “Well its me, I can’t imagine enduring that…” But God has had martyrs in every century since the gospel burst onto the scene. I would imagine that folks might have had similar fears. With books like this one, we know that there are many who have been empowered to endure torture and death. Young and old. We can see them. It’s not just theoretical, but historical. I need that. We are complacent in the West. We need to repent. Our problems are minor compared to what our brothers and sisters face every day in certain areas. We don’t need to feel guilty for where we were born or live because God has determined the places where we were born or live so that we would hear the gospel (Acts 17). However, when our suburban Christianity begins to look not much more different that our suburban non-believing neighbors, we ought to think that something is wrong. We do need to repent over the energy we spend trying to make ourselves more comfortable (demanding bigger houses, better spouses, etc..) and fix our hope on Jesus. Instead of demanding the comforts of heaven NOW, we can be spending our energy praying and longing for God’s will in heaven be done on Earth. Ironically, we’ll find more comfort and joy that way. In Philippians chapter 1, Paul recognizes that his prison time is currently making his fellow Christians bolder than ever. God used the persecution of one to make another bold. I hope that I become more bold, not fearing the “Gosh, you’re weird or intolerant” remark. In the end, if I continue to drink deeply of the gospel and rest in God’s assurance and protection over me, I’ll get bolder. But because the bible says persecution does indeed have an emboldening effect, I hope that as we read about and pray for our persecuted brothers and sisters in the faith we grow bolder by the day. Hopefully by the time you read this, our family will be in sunny FL (although we’re hoping it actually is sunny with some sort of tropical system currently over Puerto Rico) vacationing with family. Vacations are great and I love being able to take them. However I don’t want to be lulled to sleep while in our fairly pacific conditions here in America. I’m not saying that we should feel guilty for living here, nor am I belittling all of the spiritual attacks Satan makes on Jesus’ church here (bitterness, division, temptations, condemnation, etc..), even as we speak. Instead I want to be aware of his schemes both here and abroad. But if you’re like me, you need constant, specific reminders of how our persecuted brothers and sisters truly relish our prayers. Check out this blog here to read of a recent Pakistani martyr who has connections with Acts 29, a Seattle based reformed church planting network. I think you’ll be inspired to pray more for those persecuted abroad. Amy and I picked Saturday as our day, because it gives us a more global picture of worship for Sunday. But I recommend picking at least one day to intentionally pray for such folks. Let’s be reminded of Revelation 5, where God tells us our prayers are like a bowl of incense before him. Not to mention, it will be cool to one day meet those for whom we’ve been praying.